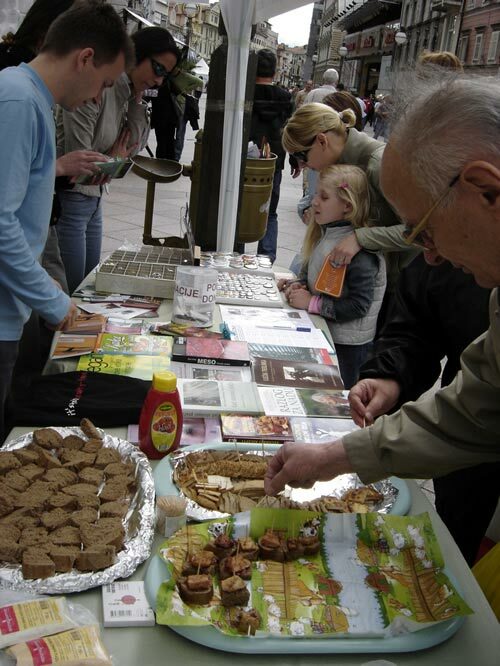 In order to encourage the citizens of Rijeka to start thinking about an ethical, ecological and healthy diet, an info stall is going to be set up from 11:00 A.M. until 2 P.M., on Saturday, June 3, at Korzo, next to Radio Rijeka, and starting at noon, some vegan delicacies are going to be handed out by the activists of Animal Friends. On the same day at 6 P.M. in Vege Club, Maksimilijanova ulica 19, the citizens of Pula will have an opportunity to experience rich flavours and fragrances of vegetarian cuisine, while watching a video about the growing vegetarian movement. Every individual that turns to a vegetarian diet no longer participates in torturing and killing of billions of animals which go through unthinkable suffering, just because of the human habit of eating meat. To increase their profits, today's slaughterhouses butcher over 15,000 animals every day in order to satisfy human greed for meat. In battery cages, animals are reduced to biological machines for egg, milk and meat production. Eating animal body parts and secretions not only damages human health, but also causes excessive consumption of natural resources and environmental pollution. Being aware of the need for a change, people around the world are switching to a vegetarian diet. 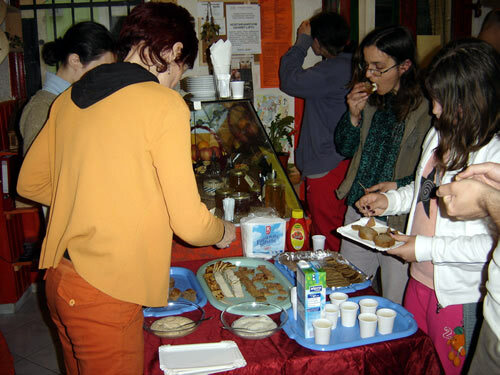 For example, the number of vegetarians in Italy has grown from 3 million to 6 million over the last 3 years, according to the daily La Republica. Marking the occasion of recently finished World Week of Vegetarianism, in a poll conducted by the Vegetarian Society, Paul McCartney was voted the most popular celebrity vegetarian, singer Morrissey being the runner-up. Mr. McCartney said that anyone who understands the consequences of buying and eating meat and claims that he or she cares about the animals should become vegetarian. Therefore, Animal Friends suggests that in anticipation of this summer, we should turn to a healthy, non-violent diet and vitality, and so discover the diversity of vegetarian food and join the millions of people around the world for whom being vegetarian is a way of life.